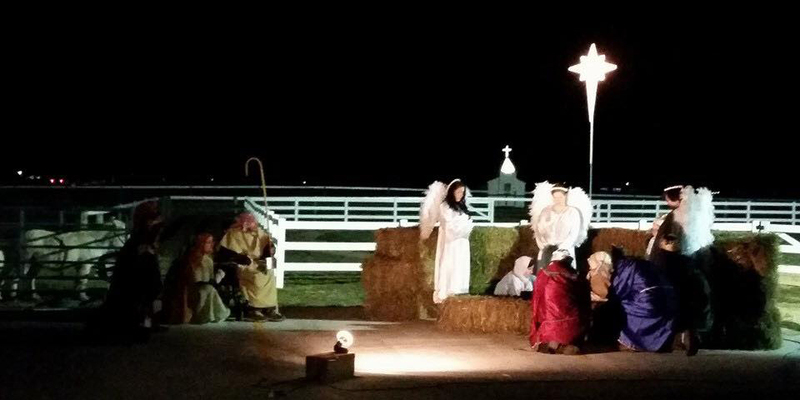 WARSAW — Join the Cowboy Church In The Meadows on Friday evening, Dec. 23 in the stables at the Magical Meadows as they share the story of the birth of Our Savior. Admission is free. Cookies and hot chocolate as you watch in amazement the birth of baby Jesus. First showing will begin at 7 p.m. and runs every half hour until 9 p.m.
Bring your family and friends as Cowboy Church in the Meadows presents this amazing story. The church is located at Magical Meadows, 3386 East CR 525N, Warsaw.